In this procedure, the size of the stomach is halved to limit the amount of food a person can eat at any one time. 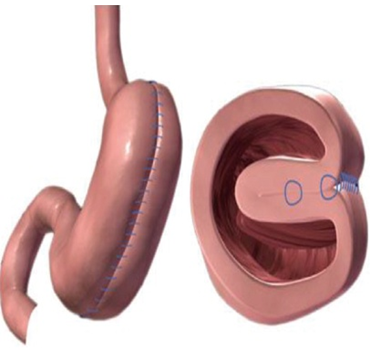 This is achieved by folding the stomach wall inward and suturing it (No cutting, no stapling) in 2 layers using Dr. C.K. Huang’s Gastric plication formula.